Level 257, a dining hub and destination for elevated play from NAMCO USA, offers a variety of dining, cocktailing and entertainment options in their loungey confines for New Year's Eve 2016. Reservations for dinner and party packages are strongly encouraged. Party reservations will be held for fifteen minutes. 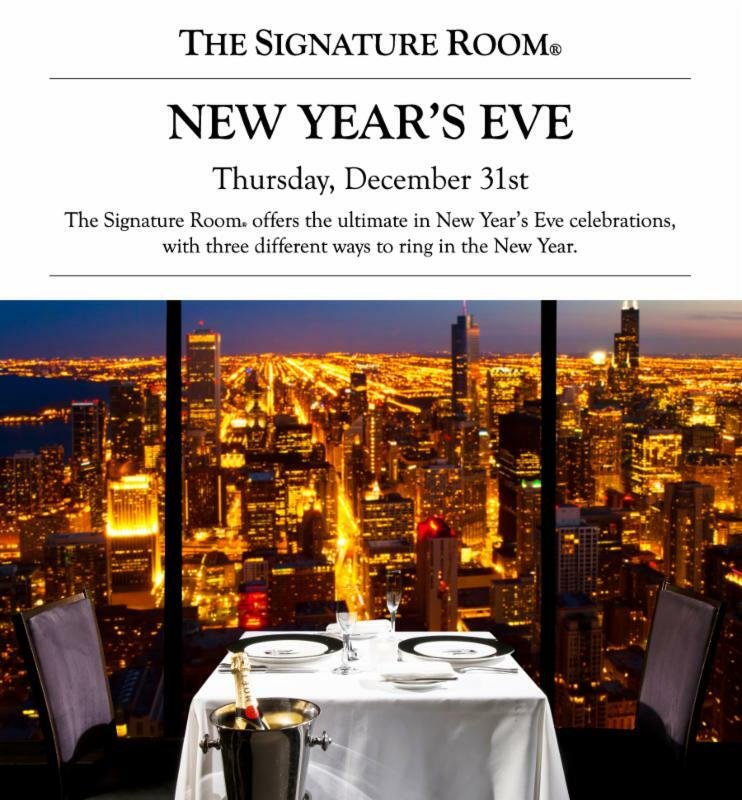 For more information or to book your New Years Eve celebration at Level 257 please call 847-805-0257. Want to Learn More About Women In Film? The public is cordially invited to Women In Film Chicago’s (WIFC) inaugural Open House from 6:30 p.m. to 8:30 p.m. on Thursday, January 14 at Conspiracy studio, 170 N. Sangamon, located in the West Loop area. First Tuesdays with The Midwest Independent Film Festival! A 2014 study revealed the gender gap in Hollywood by citing that women directors comprised 7% on the top 250 films. As writers, they made up 11%; as producers 23%; and 5% of cinematographers. Only the number of female editors stayed consistent at 18% in both test samples (via Variety). In addition to learning about the 2016 programming, signing up for volunteer opportunities, and great networking, Open House attendees can also become members at a discounted rate. This evening only! For more information about this event and the annual Focus Awards to be held January 28, visit www. WIFChicago.net or email info@wifchicago.org. 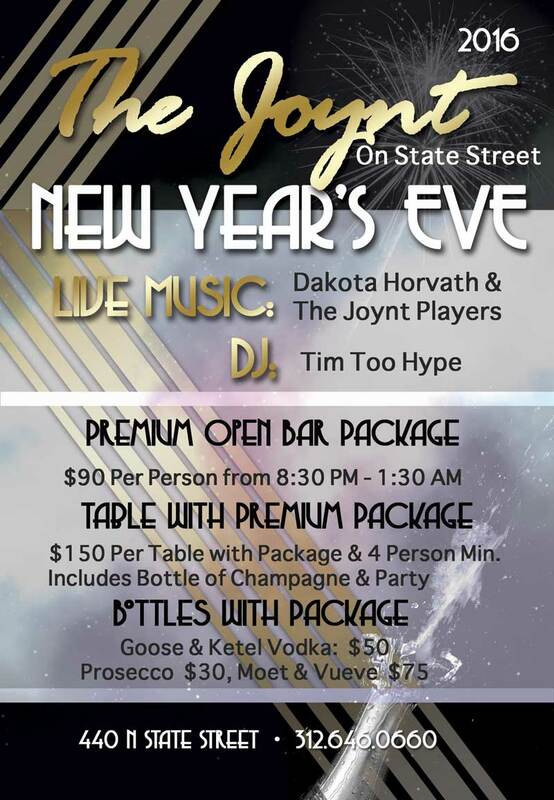 Labels: Chicago, DAKOTA HORVATH, entertainment, Illinois, music, Ring in the New Year at The Joynt on State Street! Living in a city as awesome as Chicago has countless perks. A gorgeous lakeside skyline, world class museums, a vibrant social scene…and, access to incredible food around every corner. When it comes to the increasingly popular world of delivery, Windy City dwellers have a lot more to choose from than just the pizza and moo shu pork that many other cities are limited to. This Sunday when you curl up on your couch to relax with some Netflix and take out, why not order something extra tasty that will tantalize your taste buds much more than the extra-large cheese pizza you usually resort to. For over five years, 5411 Empanadas has been serving the most authentic handmade empanadas in Chicago. Thanks to their four locations, you can have piping hot pockets of deliciousness delivered to your door in no time. 5411’s baked empanadas are filled with a variety of ingredient combinations, meaning there’s something to satisfy every craving. Bonus: priced at $2.50/each you can afford to enjoy as many as you want! The winter menu is teeming with the warm, comforting flavors everyone craves during the cold weather months. Malbec Beef, Mushroom / Thyme / Bleu Cheese, Bacon / Dates / Goat Cheese and Ratatouille are just a few of the highlights from 5411’s current offerings. About 5411 Empanadas: Named after the international dialing code for Buenos Aires, 5411 Empanadas was founded in 2009 with the goal of bringing a piece of Argentina to Chicago. Starting with a food truck (one of the first on the streets of Windy City,) co-owners Nicolas Ibarzabal, Mariano Lanfranconi and Andres Arlia built the 5411 brand to what it is today: four brick and mortar locations throughout the Chicago area. With two eateries in Wicker Park / Bucktown, one in Lakeview and one in the Loop, each outpost offers the same delicious menu of handmade, baked empanadas in an atmosphere that reflects that of the neighborhood in which it’s located. In addition to signature staples like Spinach & Cheese and Banana & Nutella, 5411 offers seasonal menu items suitable for breakfast, lunch, a snack or dinner on their rotating menu. live music, festive décor and a champagne toast. and dancing to Matt Lewis & The Union until 1 a.m.
will have a $25 cover after 6pm. live entertainment by DJ Megan Taylor from 9 p.m.-1 a.m.
1 month left to deadline: January 31, 2016. Submit now! The photographic documentation for this exhibition became the biggest-selling photography book in the history of photography. This year IPA takes inspiration from the Family of Man, to document parallel circumstances in the world today, which produced those iconic works. IPA will divide this project into similar categories, and we invite you to participate in this exciting and deeply meaningful event, so the generations to come will have access to these images from around the world. Submitted images will be viewed and judged by our distinguished panel of Jurors, and selected winners will be included in a traveling exhibition that will be shown around the world, and published in a special-edition book. Note: This is a single-image competition. You can only submit one image per entry–image series cannot be entered. However, there is no limit to how many entries you can submit.